Please call or email to make changes to or cancel your appointment time. Emergency drop off times can be arranged at almost any time other than our regular hours.  Our kennel phone number is now a mobile number. That means you can now text our number and send pictures. We can also send pictures to you now whenever we take that great candid shot of your dog while staying here at our kennel. We are also posting pictures of the dogs that are staying here up on boards in the office so when you come in you may see your dog in action in the play yard, having a great time on a nature walk, swimming or being cuddled and loved by one of our employees. The employees get to choose who the most popular pet is of the week and we post that picture for all to see. Just another way of having fun at Shertom Kennels. Our dog runs are 50' long on the outside for extra running around and inside the runs are 6' X 6' giving plenty of room to hang out in. Bring toys, blankets and treats if you like. We offer Day Care services by request. rates $10 per Day. Call to arrange details and accomodations. That special friend needs a little more loving during the day? Is your dog a City Pooch, familiar only with pavement or a small patch of grass? You can give your dog a country experience with the chance to meet up with a friendly grasshopper or talkative mocking bird. Your dog can go for a walk or run over our completely fenced 15 acres on leash or off as you request. $12.00 for each nature walk. For compatible dogs, group walks off leash are also available. For the dog that likes to get his feet wet or take an occassional dip in the pool, we have a natural pond for swimming (availability subject to weather conditions). Give your special companion the adventure of a lifetime! Click for rates. Fido need a little fluffing up? Is Sweetie not as sweet smelling as she used to be? We offer grooming services by request. Your dog can be bathed and blow dried. We can even trim his nails. When you pick up your pooch, she can be sweet, groomed and ready to go. Click for rates. YOUR DOG CAN BE A STAR! Day or night sessions available. Learn the fundamentals of herding and work toward the trialing of your dog. Please print out and fill out the Lesson Registration form before coming to class the first time. 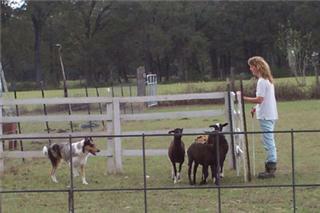 Training for Herding is taught out at Destiny Farm, at 601 CR 210A, Bertram, TX. Please email shertomkennels@sbcglobal.net to set up a time for a lesson or call 512-515-5494 and ask for Sheryl. Herding lessons are $40 per session. Take Hwy 29 to Bertram. In the middle of town at the only signal light, turn North (right) onto RR 243/FM 1174 also called Grange Street. go 4/10 of a mile and turn left onto FM 1174 North. go 7.6 miles and turn right onto County road 210A. Go 6/10 mile. (The road curves to the left and then to the right.) We are the second property on the right at 601 County road 210A, Desiny Farm. < PLEASE KEEP THE GATE CLOSED. Pat Taylor has written several excellent articles on Training your Dog To Herd.